Wanted: dead or alive, announced President George W. Bush over four years ago. Despite a reward of $25m Osama bin Laden is still at large. The mass of books claiming to explain the phenomenon have more than anything only deepened the mystery. 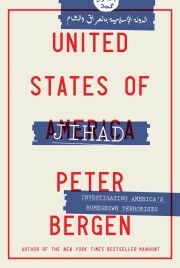 What is original about this work by Peter L. Bergen is that it adopts an oral history approach. The author has met, on every continent, those that knew bin Laden – family members, school friends, teachers, fellow Jihadis, bodyguards, journalists etc. – and has let them speak. Chronologically organized these testimonies trace the intellectual, spiritual and political journey of the terrorist and provide the pieces of what is a vast puzzle ( with no doubt some pieces too much). In many ways these testimonies contradict official myths such as bin Laden’s links with Saddam Hussein, who in reality the terrorist was vehemently opposed to.